The Almanac is all about getting you, the sporting community, involved in the game, whatever your game might be, whatever your role might be. Here’s a press release from the AFLFA inviting your participation in the first AFL Fans Association forum later this month. Fans will have a say on the state of the game and other issues affecting them at the first AFL Fans Association forum this month. The AFLFA will run the free forum in Melbourne on Sunday, 24 June. Richmond Football Club has donated the venue and the Victorian Women’s Trust has helped to organise the event. Grassroots fans will drive discussion about what they like about football and raise issues of concern, such as affordability, the match day experience, ticketing, scalping, Grand Final ticket allocation, scheduling, rule changes and reducing congestion. AFLFA president Gerry Eeman says, “The Forum will provide a fantastic avenue to assess how fans feel about the game, and how it can be better. AFLFA president Gerry Eeman is available for interview and photos/footage of participants can be organised on request. The forum will start at 10.30am for 11am-1pm on Sunday, 24 June, in Richmond Football Club’s Maurice Rioli Room in the Swinburne Centre at Punt Road Oval. All fans are welcome but must register their attendance at bit.ly/AFLFA-Forum. Media representatives are also welcome. Thanks Almanac admin. Was going to send this in as an article. 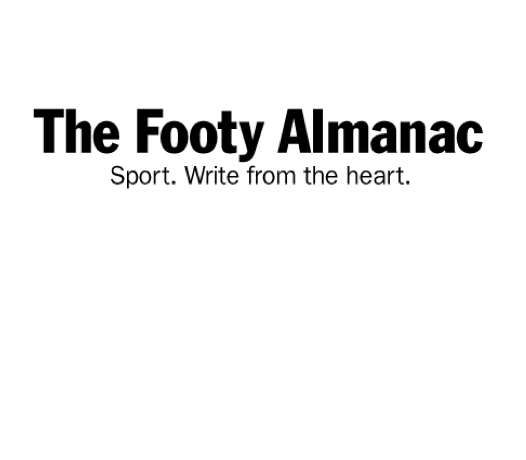 AFLFA is also looking for moderators and scribes and I thought we’d have a few of those in the Almanac community. Lyn Campbell-Anderson and I have already put ourselves down as moderators. Yours truly have given some quotes that may come up in media and be interviewed. We need to get our voices heard about the state of the game, what is happening to the women’s game and be part of a group of people who selflessly represent us as fans. I joined AFLFA a few months back to add my voice. I suggest you get along to this event, help with moderating and scribing, or come and give your thoughts. Should be a great event. Thanks eds for getting this up. Lyn Campbell-Anderson and I will be two of the moderators for this event and AFLFA are looking for more moderators and scribes for this day. We are such a passionate group of people, lets show this event the Almanac way. We need the fans voice to be heard, and joining AFLFA is one way of doing that, coming to this event is another. Helping on the day is the third. Hope you see you all there.